Slightly different post for you today, I thought it would be nice to share with you a few things i've been buying recently to work out in. 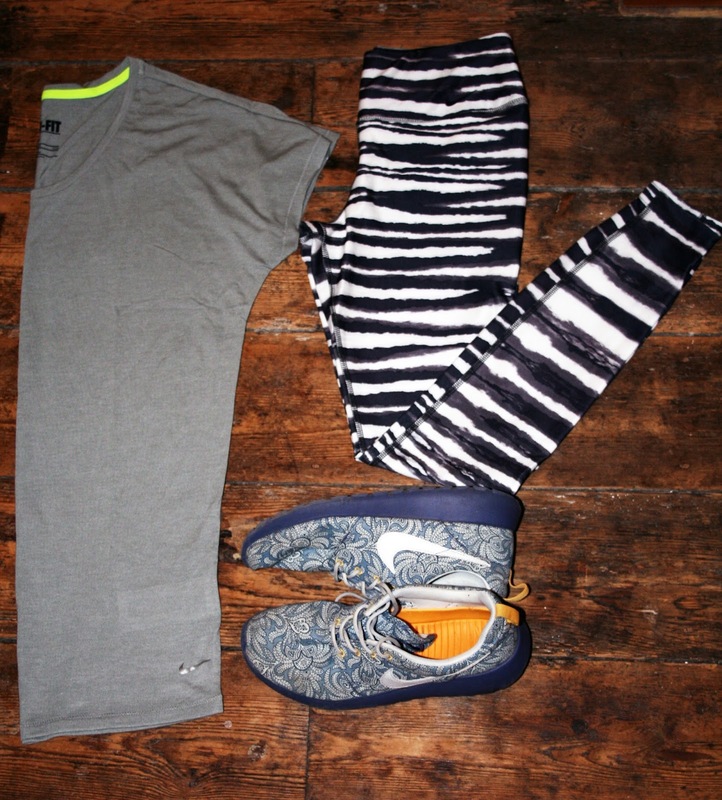 I scoured the Nike website the other day and was instantly attracted to these zebra lovelies! I always buy Nike leggings because they are affordable, comfortable and look so good on. They are also very hardwearing which is perfect for cross fit! I picked up this oversized tee as well because it will be perfect for layering over the winter months! Liberty print roshe run - need I say anymore? I don't know about you but I find buying new workout gear so motivating!